The increasing spate of bombings in the Niger Delta region has continued to take its toll on the Nigerian economy, as the Central Bank of Nigeria, CBN, yesterday, disclosed that Nigeria’s oil revenue dipped by 18.01 per cent to N186.7 billion in April 2016. The CBN, in its Economic Report for April 2016, released yesterday, stated that oil revenue accounted for 47.71 per cent of the gross Federally-collected revenue of N391.3 billion in the month under review, while non-oil revenue, at N204.7 billion, accounted for 52.31 per cent of the gross Federally-collected revenue for the month. 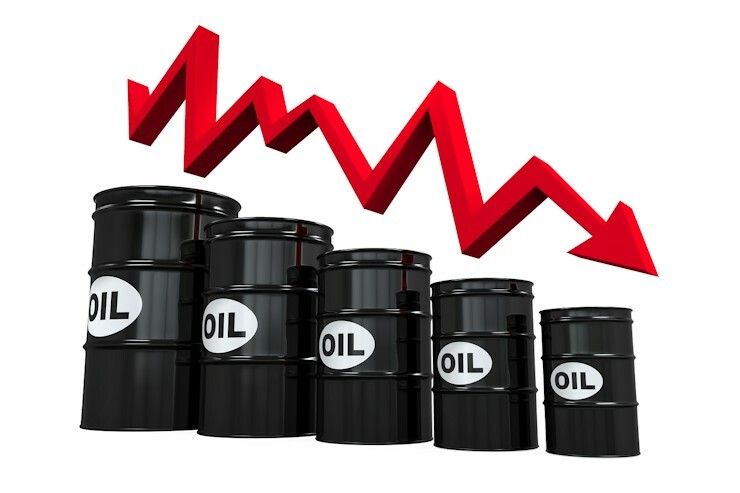 The CBN disclosed that gross oil receipts fell short of the preceding month’s level of N227.69 billion by 18 per cent, blaming the decline in oil revenue on the fall in receipts from crude oil and gas exports owing to shut-downs and shut-ins in production arising from repair works at some NNPC terminals and pipeline vandalism as well as the persistent low crude oil prices. Also, at N391.33 billion, the CBN noted that estimated gross federally-collected revenue in April 2016 fell short of the provisional 2015 monthly budget estimate of N814.87 billion by 52.0 per cent, while it was also lower than the receipt of the preceding month by 7.1 per cent. According to the CBN, the development relative to the provisional monthly budget estimate was attributed to the decline in oil revenue. Furthermore, the CBN disclosed that Nigeria’s crude oil production dipped by 4.6 per cent from an average of 1.76 million barrels per day or 54.56 million barrels in the month March 2016, to an average of 1.68 million barrels per day or 50.40 million barrels in April. In addition, the CBN stated that crude oil export stood at 1.23 million barrels per day or 36.90 million barrels in April, representing a decline of 6.1 per cent when compared with crude oil export of 1.31 million barrels per day or 40.61 million barrels recorded in the preceding month. “The decline in crude oil production was attributed, largely, to the blowing up of the Trans-Forcardos pipeline and Chevron installations which continued to disrupt crude oil production in the Niger Delta region as well as crude oil theft,” the CBN explained. The CBN further stated that of the total net federally-collected revenue, the sum of N226.87 billion was transferred to the Federation Account for distribution among the three tiers of government; N61.66 billion was transferred to Value Added Tax (VAT) Pool Account; N47.73 billion to the Federal Government Independent Revenue; and N13.47 billion to ‘Others’, including Tertiary Education Trust Fund, National Information Technology Development Fund and Customs Special Levies. “From the N226.87 billion transferred to the Federation Account, the Federal Government received N109.11 billion, while the State and Local Governments received N55.34 billion and N42.67 billion, respectively. The balance of N19.75 billion was shared among the oil producing States as 13 per cent Derivation Fund. “Similarly, the sum of N61.66 billion was shared from the VAT Pool Account among the three tiers of governments as follows: Federal Government, N9.25 billion; State Governments, N30.83 billion; and Local Governments, N21.58 billion,” the CBN stated.